If you’ve been searching high and low for the best Bluetooth beanies with built-in wireless headphones, you’ve probably noticed an overwhelming amount to choose from. Lately we’ve been receiving a lot of inquiries from our readers, asking us to select the best, most worthwhile options are. You’ll want one that’s comfortable, easy to use, built to last, and of course – it has to provide an exceptional listening experience. Today we’ll outline three of our favorite, best-rated Bluetooth beanies for 2016 and give you an overview of each notable feature that makes each one a worthy choice. We’ll take overall quality, durability, ease of use and other important factors into consideration to give you a fair and honest perspective of each. 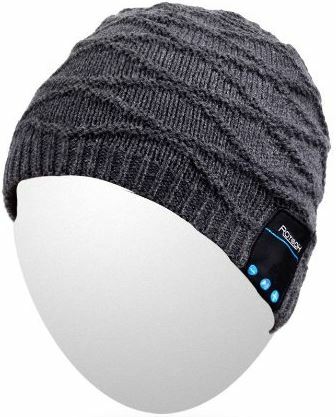 Made specifically for hands-free calling and wireless musical entertainment, the Qshell Bluetooth Beanie provides a super-warm, ultra-soft, plush, double-knit material that’s designed to keep you cozy but fully-immersed into your tunes at the same time. As a perfect solution for virtually any outdoor activity or on-the-go adventure, it’s very easy to use since it boasts such a simple and effective design. Made out of a 100% soft acrylic material, it has the lasting comfort with the added bonus of a fully wireless set of earphones built-in. As with anything, ease of use and simplicity can be a real benefit. 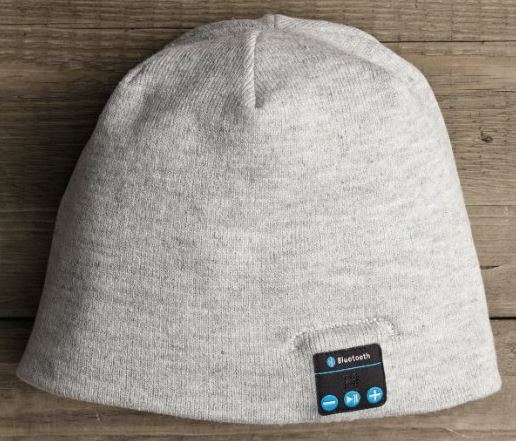 Since there’s no need to complicate things, Qshell integrated all of the necessary controls into the a small square “tag” that’s located on the edge of the beanie. In this area, you’ll notice a USB charging port, microphone, volume controls, a play/pause button, and even a hidden stereo speaker so you can play your music “out loud” rather than keeping it to yourself. Best of all, this area doesn’t stick out like a sore thumb – it’s been cleanly incorporated into the design, no matter which specific color you choose. Wireless freedom simply can’t be achieved unless there’s a battery to keep things operational. Equipped with a rechargeable lithium ion battery, you can expect around six hours of continuous play or talk time, depending on the volume you’re listening at and the distance you are from the source device. The louder you have it or the further away you are, the more you’ll drain from the battery. Six hours is a decent amount of time, especially for the fact that it takes roughly two and a half hours to achieve a full charge. 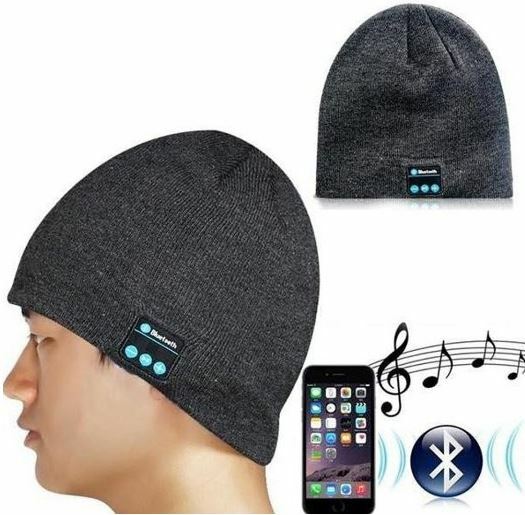 Since a Bluetooth beanie is both an article of clothing and an electronic device, you can imagine that every once and a while, you’ll need to clean it. To our surprise, the Qshell Bluetooth Beanie is fully washable and designed to be easily cleaned. Although you’ll need to remove the headphones from the pouches, you can treat it like a typical article of clothing once you do. Overall, we’re fairly confident in the Qshell Bluetooth Beanie since it provides surprisingly good sound quality with all of the comfort you’d ever want. Available in a wide range of color choices, it’s labled as “one size fits most” so you can achieve a universal fit among more than one person without the need for any adjustments or specific size requirements. Additionally, everything you need is included (USB charging cable) and it’s ready to go within seconds after trying it for the first time. 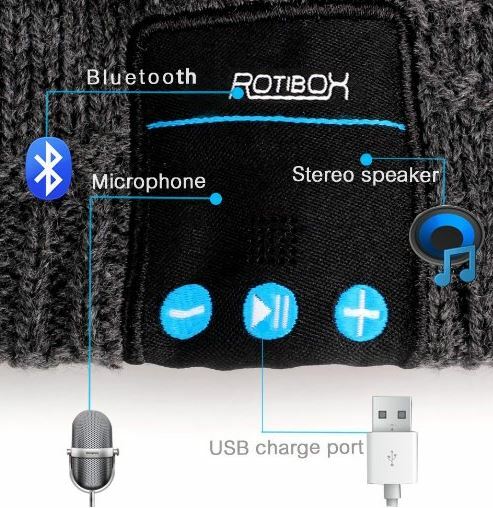 With an affordable price-point and a few extra bonuses included, the Highever Fashionable Bluetooth Beanie provides an exceptional amount of value although it doesn’t have quite as lengthy of battery-duration as the Qshell. Designed specifically for reliability, there seems to have been a lot of thought put into the way it was made in order to provide a comfy, superb listening experience no matter where you may be. With the same pairing process as the Qshell, all you need to do is power-up the integrated earphones, enable Bluetooth on your device, and select it from a list of available connections. After the initial pairing process, you won’t have to re-do these steps again. Although it utilizes the older Bluetooth version 3.0, it still provides the same working distance of roughly 33 feet or 10 meters. 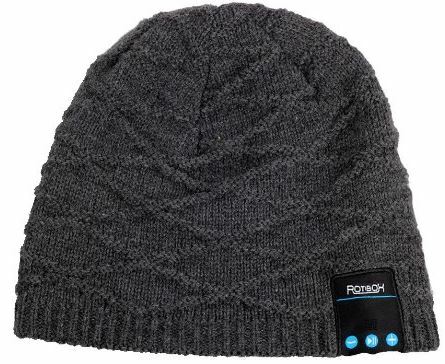 Located on the outside edge of the beanie is a small black panel that provides an easily accessible control panel with an assortment of buttons. Adjusting the volume, changing the track or pairing your device is all configured here. This is also the place where you’ll plug in the included micro USB charging cable to recharge the internal battery. This is also where the microphone is located. 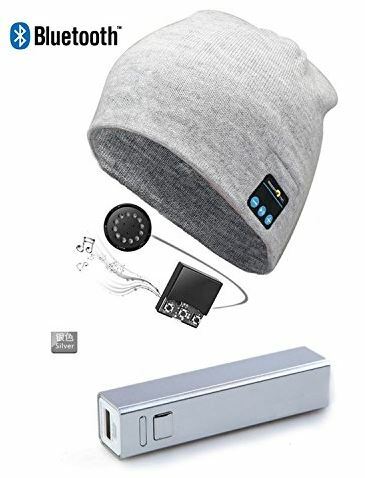 Although the mic may seem a bit far from your mouth when the beanie is positioned on your head, it seems to do a superb job picking up your voice without any distortion. Inside is a 3.7 volt, 180 mAh battery that provides for around three hours of battery life whether you’re listening to music or talking on the phone. Although the capacity of this battery is quite lacking and not really all that impressive, they’ve included a portable power bank to make sure you have a portable way to power it if needed. As an added bonus there’s a free 2600 mAh power bank included. Built in a compact and lightweight stick-like form, it’ll provide a few additional charging cycles to the beanie so you can get more longevity with added mobility and portability. 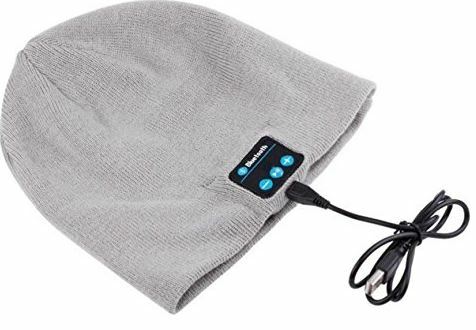 Best of all, you’re not limited to using it solely with the Highever beanie – it’s equipped with a USB port so it can deliver a charge to virtually any other portable devices you may have. With integrated overcharge, overload, over-current and short circuit protection, you can rest assured knowing that it won’t ever be capable of ruining anything that it’s powering. 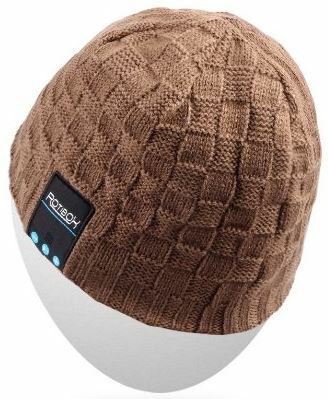 Made from an elastic knitted material, it has a lightweight feel to it that’s surprisingly warm. Although a bit thinner than the Qshell, we found that it’s probably a better option for those needing the simplicity of a beanie but don’t necessarily need a lot of warmth. Available in four different color options – gray, maroon, red or dark gray, there aren’t a whole lot of color choices available, but still a solid set of nice designs to choose from. Additionally, you can manually remove the inner headphones and throw it in the laundry if need be. 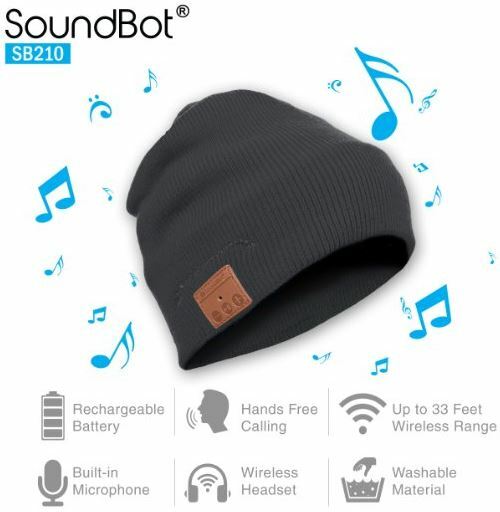 Last but not least, we’re including the Soundbot SB210 Bluetooth Beanie as another fantastic choice for those looking for great quality, durability and exceptional sound quality. Priced less than both the Qshell and Highever, it’s been designed to last with extra detail put into areas that matter the most. 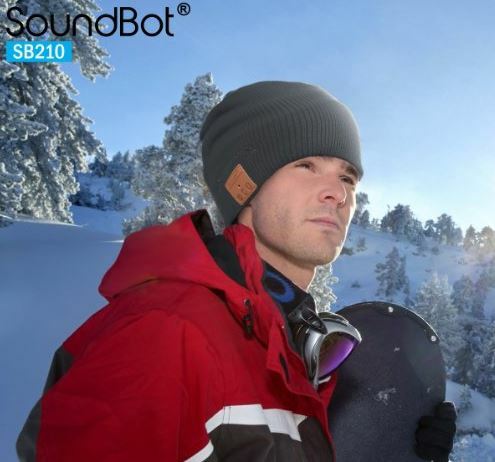 Since the Soundbot SB210 is fully water resistant, you won’t have to hesitate when it comes to durability. It’ll hold up well in the rain and snow and work equally well indoors in virtually any environment. Additionally, the earphones are shock-resistant and rugged to withstand virtually anything that you throw at it. Although it’s not recommended that you submerge them in water or actively go out of your way to make them wet, it’s nice to know that they’ll hold up to the elements and still have the ability to produce great sounding tunes at any moment. 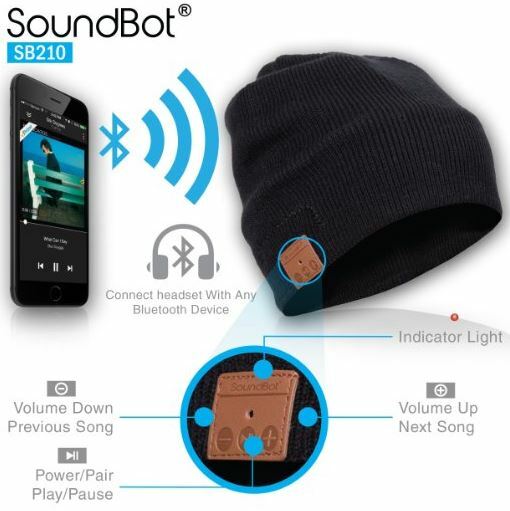 With the same pairing process as the other two options we’ve already discussed, the integrated Bluetooth gives you 10 meters of 33 feet of wireless range between your music source device and the beanie. Since they utilize the latest Bluetooth version 4.1, you’re given an improved battery life of roughly 5 hours on a single charge. Although the internal lithium polymer battery only has a 100 mAh capacity, Bluetooth 4.1 is the most efficient version to date that requires less power consumption than any previous version. Although only available in two color options, gray or black, the overall style and look of the Soundbot SB210 is quite nice. Thicker and heavier than your average beanie, it’s quite warm and very soft to the touch. Inside you have access to a zippered pouch that contains the Bluetooth module that can easily be removed if you’d like to throw the beanie in the laundry machine. Designed as “one size fits most”, the material is quite stretchy and form fitting – it stays on your head well no matter what size you typically wear. One of the best and most often overlooked benefits to owning the Soundbot SB210 is the warranty that’s included. Protected by a 1 year warranty on the headphones and a 30 day warranty on the actual beanie, you’re given extra added peace of mind knowing that it’ll hold up to constant use over the first 12 months with an added guarantee. The other two beanies that we’ve outlined cannot compete in this regard, since both don’t have a warranty included.